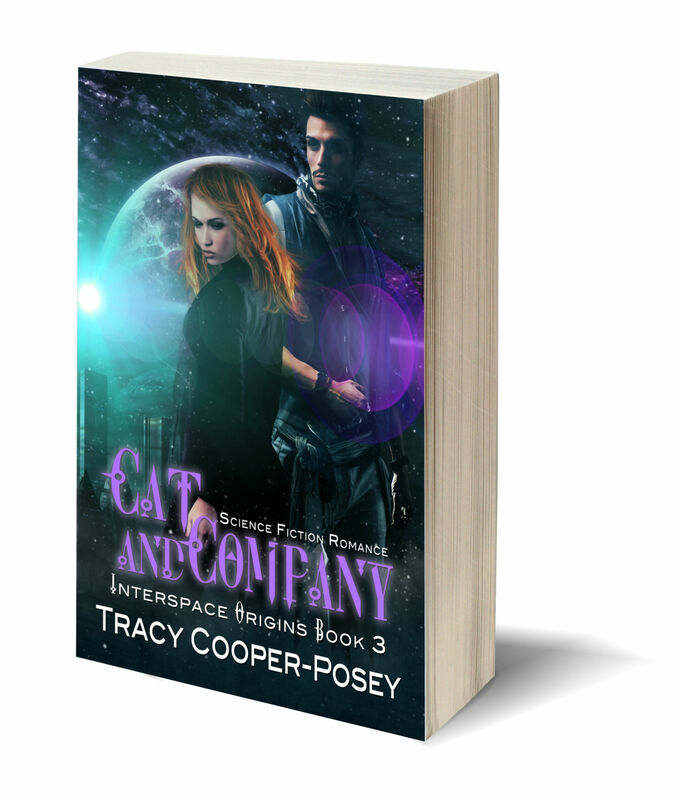 …at least, that’s what one reader said on Amazon, about Cat and Company, the third and last (for now) book in the Interspace Origins series. Cat and Company was released last Thursday. “Where are we going, again?” Catherine whispered, leaning toward Devlin so she could keep her voice down. Devlin nodded at the two other pilots, Cleon and Wayna, who stepped up to the copilot chairs at the front of the deck. He shut down the map and took Catherine’s elbow. Gently. “I have some coffee over here, freshly brewed.” He led her over to the small lounging area, where a coffee service had been placed on the low table. Steam was rising from the mouth of the pot. Catherine’s mouth watered. “Gods, yes, coffee,” she breathed. Devlin sat on the forward-facing lounge so Catherine took the other one. He poured the coffee, the small smile lingering around the corners of his mouth. “Is it my imagination, or do I sense an air of regret about you this morning?” He was speaking quietly, so that no one else on the flight deck would hear him.